Vani Hari, the “Food Babe,” is neither a scientist nor a nutritionist. Vani Hari (the “Food Babe”) has built quite a following for herself since her 2011 debut, with nearly one million followers on Facebook and a new book release in February 2015. While Hari’s pseudoscience has been widely debunked by qualified scientists (e.g., Crislip 2013, Gorski 2014), a more sobering fact seems to have escaped everyone’s attention: one of America’s most notorious bloggers is earning sales commissions from products that contain the very same ingredients she says are dangerous. Ironically, for a web activist who seems to do most of her research via Google, the evidence is only a few mouse clicks away. In her article “Throw This Out of Your Bathroom Cabinet Immediately,” Hari links aluminum in modern deodorants to horrific diseases such as breast cancer and Alzheimer’s (Hari 2013b). But in that same piece she recommends—and earns an Amazon.com affiliate commission from—Naturally Fresh deodorant, which contains ammonium alum and potassium alum (Naturally Fresh 2015). It’s perplexing that Hari didn’t take one additional step and look up these two compounds while writing her blog. She would have found they’re better known as ammonium aluminum disulfate dodecahydrate and aluminum potassium sulfate (U.S. National Library of Medicine 2015a; 2015b). Yes, after warning about the dangers of aluminum in deodorants, Ms. Hari earns a commission on a deodorant that contains . . . aluminum. On that note . 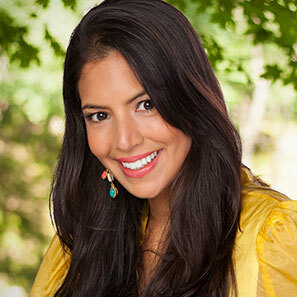 . . what does Food Babe recommend in a sunscreen? According to her, a must-have ingredient is titanium dioxide (TiO2), and she provides a list of “acceptable” TiO2-laden lotions (with the ever-present affiliate links). This is hypocritical; one of the Babe’s most vocal and infamous campaigns has been against Starbucks for their use of a particular caramel coloring in spiced pumpkin lattes (Hari 2014). According to Hari, the coloring contains 4-Methylimidazole (“4-Mel”), classified as a group 2B carcinogen by the International Agency for Research on Cancer (IARC). Do you know what else is listed as a group 2B carcinogen? Titanium dioxide: her “gotta have” sunscreen ingredient (International Agency for Research on Cancer 2014). For perspective, also on the IARC list are coffee, pickled vegetables, talc body powder, and the professions of carpentry and firefighting. But—relative safety of the additives aside—why is it okay to use scare tactics to frighten consumers away from a product then turn around and earn commissions on others in the same group? Food Babe identifies the IARC as the source for her 4-Mel cancer claim, so how did she miss the titanium dioxide? It’s on the same list. Does the fact that she’s helping sell products that contain TiO2 have any bearing on her research? Vani Hari’s “takedown” of the Starbucks pumpkin spice latte criticizes the use of a 2B carcinogen similar to the one found in her “gotta have” sunscreen. Tim Berners-Lee invented the World Wide Web in 1989 as a research tool, and it can be powerful when used correctly. I’m not sure he imagined how badly it could be abused by “investigators” such as Vani Hari, who seem to give up the chase after a single mouse click. In “Be a Drug Store Beauty Drop Out!,” she declares women must avoid beauty products with ingredients ending in “-siloxane” because they’re supposed endocrine disruptors (Hari 2011a). Later, in an article for Well & Good magazine, she gushes about “Tarte Cosmetics Lights Camera Lashes Mascara” (Hari 2012). Not coincidentally, she earns a sales commission on this mascara. One more click of the mouse would have told her that it contains cyclopentasiloxane (Tarte Cosmetics 2015b). If you noticed that cyclopentasiloxane ends in “-siloxane” (the supposed endocrine disruptor), then congratulations: you’ve done more research than Food Babe. What do leukemia, hummus, and facial cleansing milk have in common? In the world of Vani Hari, quite a lot, apparently. Every night before going to bed, she washes her face in Avalon Organics Facial Cleansing Milk (Hari 2011b). Three months after she divulged this beauty secret, Hari solemnly warned her readers that packaged hummus was dangerous because it could contain: “Potassium Sorbate . . . known to cause skin allergies with prolonged use” and “Sodium Benzoate . . . when combined with Vitamin C . . . can produce benzene that has been known to cause Leukemia and other cancers” (Hari 2011c). You’ve probably guessed by now what can be found in Food Babe’s facial cleansing milk: potassium sorbate, sodium benzoate, and lemon peel—a rich source of vitamin C (Avalon Organics 2015). If these ingredients cause skin allergies and leukemia as Hari claims, why is she promoting them via her website? These are just a few examples of products recommended by Food Babe that contain exactly the same ingredients she claims are dangerous. Catching her in the act is as simple as picking an additive from her “ban” list (Alsip 2014) and reading the label on an item she recommends. It’s important to stress that experts in science and medicine have time and again debunked Hari’s claims that the ingredients discussed in this piece are as dangerous as she claims. No one should walk away in fear of buying any of the products discussed here. The takeaway message is that Hari’s science is as questionable as her investigative techniques. When given a taste of her own medicine—using a simple web browser to look up the ingredients of items she recommends—Food Babe’s role as a safety advocate is cast in a new light. The fact that she openly earns sales commissions on products pushed via her website should give us all pause for thought. Alsip, Mark. 2014. The Food Babe ban list (blog entry). Online at https://badscidebunked.wordpress.com/2014/12/17/the-food-babe-ban-list/. Avalon Organics. 2015. COQ10 Repair Facial Cleansing Milk (product page). Online at http://avalonorganics.com/coq10-repair-facial-cleansing-milk. Crislip, Mark. 2013. Scam stud (blog entry). Online at http://www.sciencebasedmedicine.org/scam-stud/. Gorski, David. 2014. Vani Hari (a.k.a. The Food Babe): The Jenny McCarthy of food (blog entry). Online at http://www.sciencebasedmedicine.org/vani-hari-a-k-a-the-food-babe-the-jenny-mccarthy-of-food/. Hari, Vani. 2011a. Be a drug store beauty drop out! (blog entry). Online at http://foodbabe.com/2011/07/31/how-to-find-safe-beauty-products/. ———. 2011b. So fresh and so clean (blog entry). Online at http://foodbabe.com/2011/08/09/so-fresh-and-so-clean-skin-care-tips/. ———. 2011c. Why aren’t you making your own hummus? (blog entry). Online at http://foodbabe.com/2011/05/18/homemade-hummus/. ———. 2012. Well & Good: My five beauty obsessions (blog entry). Online at http://wellandgood.com/2012/10/30/my-five-beauty-obsessions-vani-hari/. ———. 2013a. The ingredients in sunscreen destroying your health (blog entry). Online at http://foodbabe.com/2013/05/05/what-you-need-to-know-before-you-ever-buy-sunscreen-again/. ———. 2013b. Throw this out of your bathroom cabinet immediately (blog entry). Online at http://foodbabe.com/2013/04/10/throw-this-out-of-your-bathroom-cabinet-immediately/. ———. 2014. Drink Starbucks? Wake up and smell the chemicals! (blog entry). 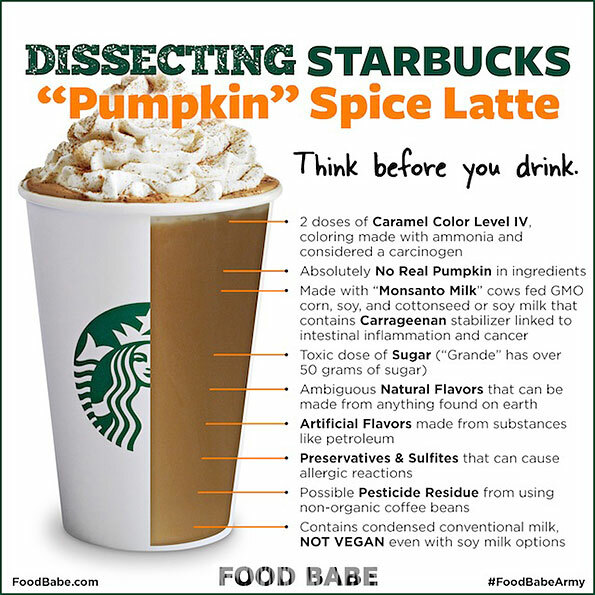 Online at http://foodbabe.com/2014/09/02/drink-starbucks-wake-up-and-smell-the-chemicals/. International Agency for Research on Cancer. 2014. Agents Classified by the IARC Monographs, Volumes 1–111. Online at http://monographs.iarc.fr/ENG/Classification/ClassificationsGroupOrder.pdf. Naturally Fresh. 2015. Naturally Fresh (product page). Online at http://www.amazon.com/gp/product/B005P0WRLU/. Tarte Cosmetics. 2015a. Tarte Blush (product page). Online at http://tartecosmetics.com/skinvigorating-ingredients#/ and http://tartecosmetics.com/tarte-shop-vitamins-a-c-e/. ———. 2015b. Tarte Cosmetics Lights Camera Lashes Mascara (product page). Online at http://www.amazon.com/gp/product/B002XOQSPC/. U.S. National Library of Medicine/PubChem. 2015a. Ammonia Alum. Online at https://pubchem.ncbi.nlm.nih.gov/compound/62668/. ———. 2015b. Potassium Alum. Online at https://pubchem.ncbi.nlm.nih.gov/compound/24856/. Wang, S., S. Dusza, and H. Lim. 2010. Safety of retinyl palmitate in sunscreens: A critical analysis. Journal of the American Academy of Dermatology 63(5): 903–906. Mark Aaron Alsip writes the skeptical science blog Bad Science Debunked (badscidebunked.wordpress.com). He has a bachelor’s degree in computer science with concentrations in math, life sciences, and electronics. His past work includes programming for the IDEX II project currently on display at the National Air and Space Museum in Washington, D.C.